Singapore is a popular living destination among people from the UK, with around 50,000 British expats currently living there. If you are a British family moving to Singapore, here are 5 of our top tips for a smoother move to the Lion City. 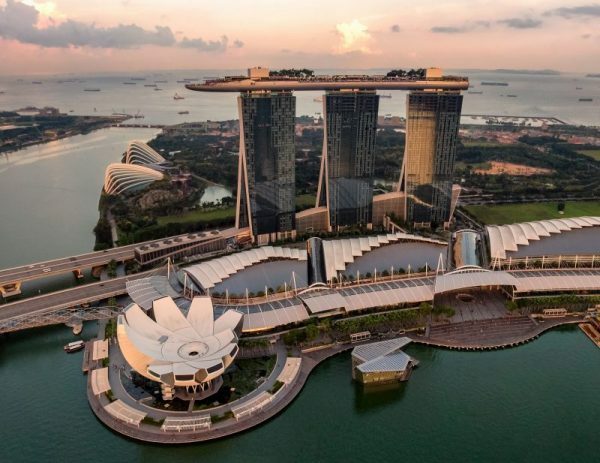 Finding a place to live will be at the top of your to-do list when relocating to Singapore. There are a number of things to consider when deciding where to live, namely pricing, proximity to work and/or school and accessibility to local shops and supermarkets. Standards of living are generally high for British expat families in Singapore, and some larger companies offer a benefits package which may cover the cost of living. Some areas of the city are more popular among non-Singaporeans, including Holland Village, Tanglin, Orchard and River Valley. The easiest and most popular way to find a home in Singapore is through an agency. Singapore is a small island nation that is easy to navigate due to its size and efficient public transport system. The MRT metro system is second to none, and its extensive rail network means that you are never more than a short walk away from the nearest station. Buses are also cheap and air-conditioned, making them a popular choice among commuters. Singapore’s education system is renowned as one of the best in the world, with students consistently ranking highly in global surveys. The local public schools are taught using an English-based bi-lingual system. There are a number of international schools in Singapore due to the large expat population. The majority of them offer an international curriculum based on the International Baccalaureate (IB). However, around 12 schools in Singapore currently deliver the English national curriculum, which includes the iGCSE and A-Level syllabi. Home-education is a helpful option for children who are not suited to mainstream schooling for whatever reason. Home-schooling is legal in Singapore, and foreigners are not legally required to send their children to a physical school. Online schooling offers support and structure for home-educating families. It provides a full-time curriculum-led education for children of school age who can attend lessons from home or wherever there is a stable internet connection. You can find more information on how to give your child a British education online from Singapore here. Moving to a different country is a big step, particularly if it is your family’s first move abroad. Because of this, finding a community of other expats is important as it creates an essential sense of familiarity. As the expat population in Singapore is so vast, finding a network of other international families will be relatively easy. A great way to connect with the city’s expat community is to join one of the various sports and social clubs. These offer regular events and activities for the whole family to get involved with and meet new people. Pursuing hobbies and interests that you had back home will also boost your social lives as well as help ground a sense of normality. You may also want to take up something new that is specific to Singaporean culture, such as cooking classes, craft workshops or exercise classes such as Tai Chi. Moving overseas is no less difficult for children as it is for adults. While school can provide an essential sense of community, it is equally important to ground this within the family. After all, you are all embarking on this new exciting chapter together. Singapore’s climate is a far cry from that of Britain, which opens up a whole new world of family activity options for the weekends. Spot wild monkeys and monitor lizards in one of Singapore’s nature reserves, visit the impressive Supertree Grove at the Gardens by the Bay (pictured), or soak up the sun at Sentosa beach. Whatever the weather, Singapore has an endless weekend to-do list available for families. Another great benefit for British families living in Singapore is that exotic holiday destinations are easily accessible. South-east Asia is often also very affordable, giving you many exciting options for family holidays outside of term-time. Singaporeans are very proud of their country, so it is a good idea to familiarise yourself with the culture. Singapore is a multiracial and multicultural nation, with the main ethnic groups being Chinese, Malay and Indian. English is the official language of Singapore, which makes things easy for British expats. However, you will often hear locals speaking ‘Singlish’ – an English-based language made up of words from English, Cantonese, Malay, Tamil and others. Although not strictly necessary, learning a few phrases never hurts, and will always go down a treat with your new Singaporean friends! Singapore’s laws and customs are very strict, which explains it’s famously low rate of crime. Its long list of criminal offences include chewing gum, littering and jaywalking (crossing the road in non-designated areas). To avoid getting in to trouble, it is a good idea to do your research on Singapore’s rules and regulations.